There was a lot of important information on the U.S. economy released this week, but the biggest data point is without a doubt the latest monthly job report from the Bureau of Labor Statistics (BLS) out this morning. 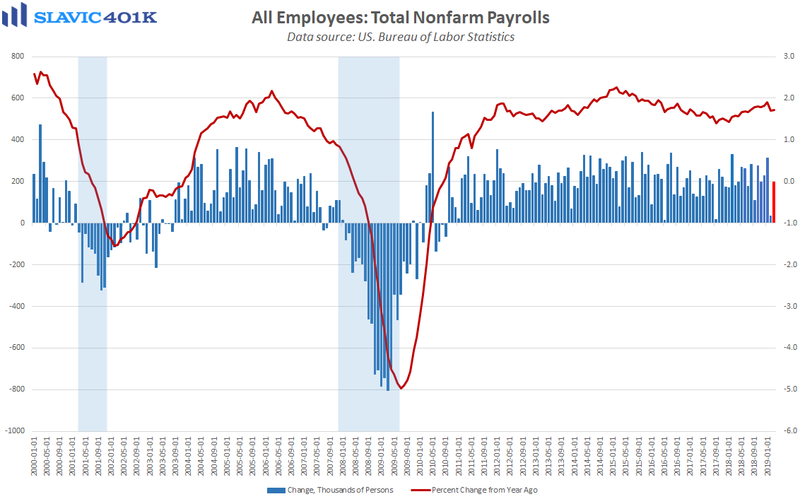 Indeed, total nonfarm employment in America rose by 196K payrolls in March, the 102nd consecutive month of net job growth and a larger than anticipated rebound from February’s upward-revised 33K gain. The January figure was also revised higher (+312K), which altogether resulted in a less-volatile 3-month average payrolls gain of 180K. That is the smallest increase since November 2017 but still well above the level of job creation needed to keep up with U.S. population growth. Moreover, labor market data have been quite noisy lately due to the partial government shutdown and other transitory factors, so it is probably safe to say that the January payrolls report likely overstated the strength of the job market and the February report likely understated it. March’s in-between reading is therefore closer to the true underlying trend, which agrees with the continued theme of moderating job growth in America. This is to be expected at this late stage in the economic cycle with a tightening labor market. 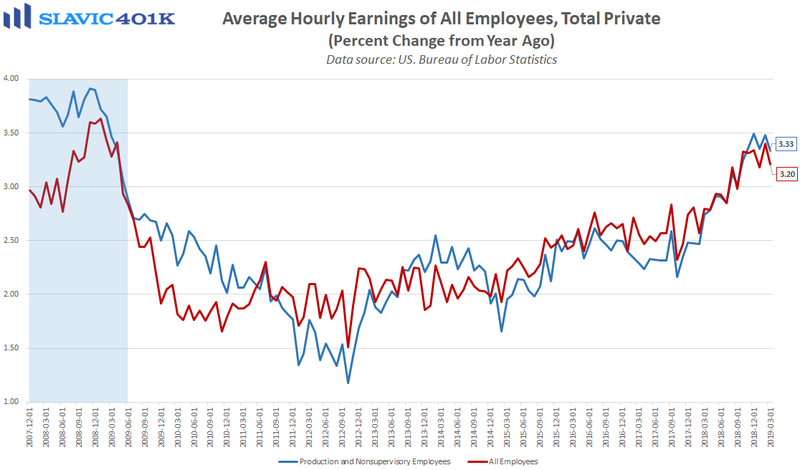 Put simply, the monthly gains of 250K or more payrolls should become increasingly rare or else there is a lot more slack left in the labor market than previously believed. 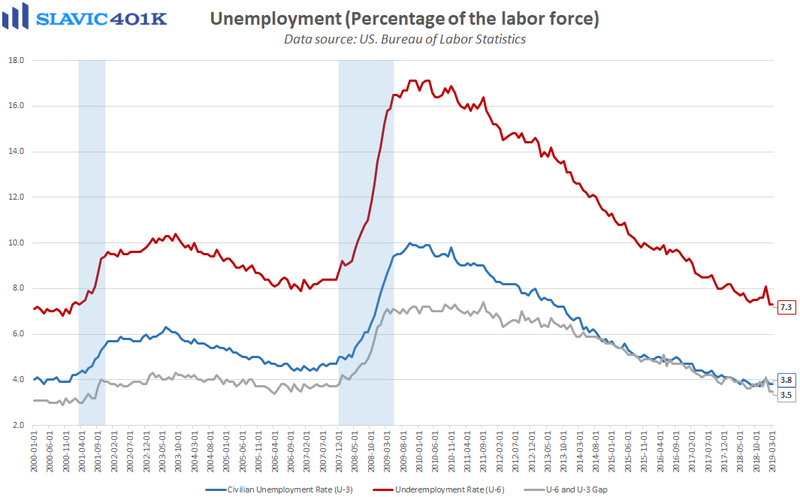 Other highlights from the March job report include that the official measures of unemployment and underemployment held near cycle lows, and wage growth firmed for non-managerial workers.